I can't afford a Willys right now, so I'm building a '29 Dodge Cpe GASSER. My present coupe doors can be fixed, but I'd prefer to find better ones. If you can help me, let me know. I live in California, but distance is no problem if the price is right. I just joined the club. 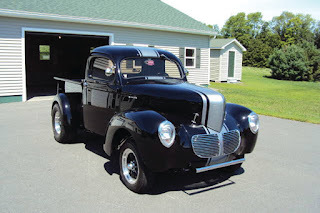 All steel 1940 Willys pickup. Original Willys cab, nose and doors. Mac Products bed with Ferguson Coachworks rear fenders. Motor is a 1967 283 bored 10 over with 202 heads. Turbo 350 trans with a shift kit. Dennys driveshaft. 1957 Olds rear, 4:10 gears, Dana 29 spline posi and Moser axles. Custom built ladder bars. Stock Willys front axle with disc brake conversion. Stock frame boxed with custom cross members. Stewart Warner wings guages. Modified bomber seats. 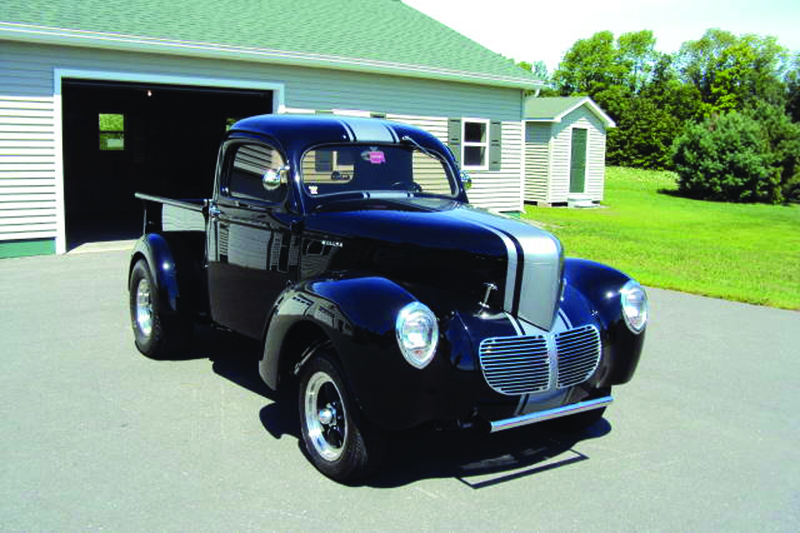 All chrome trim pieces are new reproductions from Willys Replacement Parts. One-off custom stainless steel fuel tank by Rock Valley. Ron Francis wiring harness. Truck sold with a transferable Maine registration and a bill of sale (no title). original seats and stock wheels.